Looking to do your bit for Karnataka? 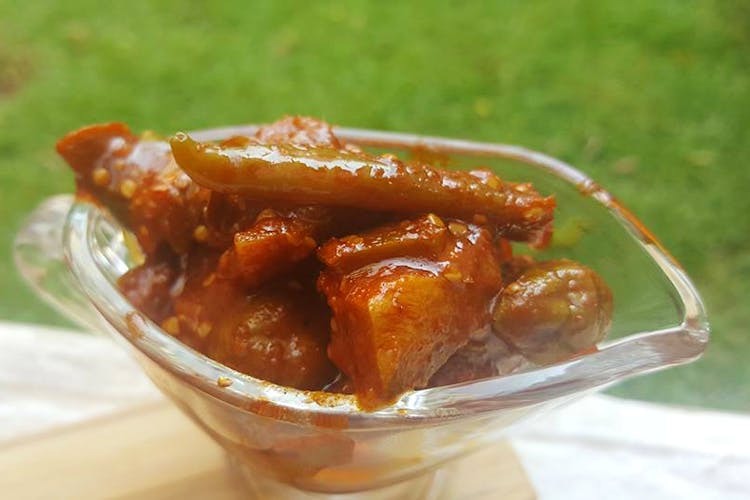 Check out The Hudli Project’s empowering campaign that’s looking to create jobs, as well as deliver some mouthwatering pickles to your doorstep! The Hudli Project is an initiative started by a group of enthusiastic Bangaloreans looking to create channels of sustainable employment for the locals of Hudli village. While employment rates in cities like Bangalore are soaring, they’re falling steeply in rural areas. The village is located in North-West Karnataka and is best known for their Kadhi products, as well as handmade goods like pickles, soaps and even agarbatti — something you own was possibly made there! They’re currently focusing on producing pickles, so get those parathas and khakras ready. The Project is creating pickle subscription packages, so if you pick one up, you’re guaranteeing the wages of one of the 25 women that make them for the next 12-18 months! Pretty cool, right? And they’re not just looking for donations or handouts, they’re looking to create a long-term source of employment and create new opportunities to raise employment levels to 100 women. We’re all for supporting rural development and women’s employment! Click here to purchase a subscription package. Click here to find out more about The Hudli Project.